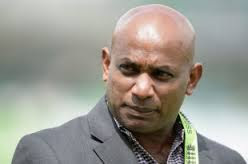 Selection committee chairman Sanath Jayasuriya has forwarded his resignation for the second time in recent times due to continued interference on selections, Lanka hot news learns. Jayasuriya earlier forwarded his resignation last year prior to the selection of the squad to South Africa, to the Sports Minister Dayasiri Jayasekara but the Minister had sorted out the concerns of Jayasuriya and he continued to work as chairman. But according to a source close to SLC, Jayasuriya had again objected the interferences by SLC top management when selecting the Sri Lanka A team to play against England A. Nevertheless when asked from Sports Minister Dayasiri Jayasekara he said he is yet to hear from Jayasuriya regarding any of the said developments and certainly did not receive any letter up to yesterday evening.